This topic contains 3 replies, has 2 voices, and was last updated by Hudson Atwell 8 months ago. Is there a simple way to search and find each form? When working with WYSIWYG editors most times you will see a “Marketing” button that comes with a few tools, one being the ability to quickly insert an Inbound Form. Obviously I can go through each page or post one by one but is three an easier way to track the location of each form so as I can better manage my site? No not really because they’re loaded from shortcodes and shortcodes could be placed anywhere. 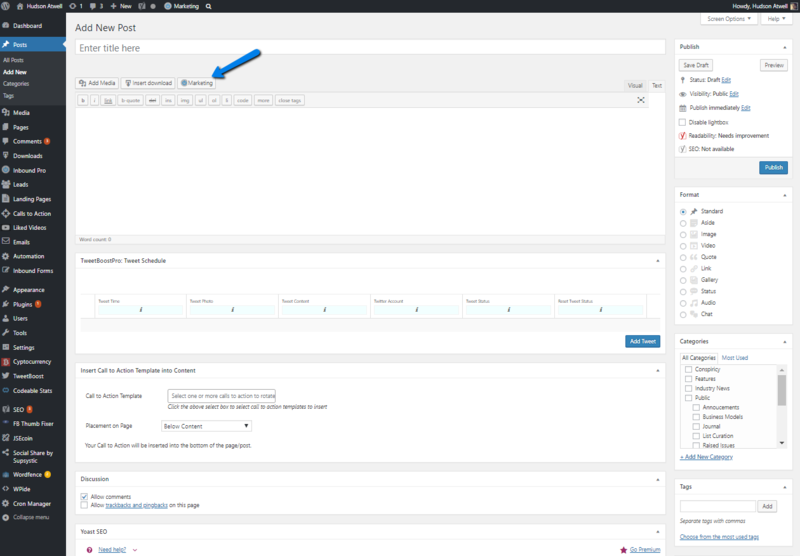 It’s possible you could tag your content and then perform tag searches when you need to find them quickly. I’m also trying to think of otherwise your could make content stand out when needed but am currently drawing blanks. I am sure there are more creative solutions. Will have to think about them. The topic ‘[Leads] Funding Forms Embedded in Pages and Posts’ is closed to new replies.